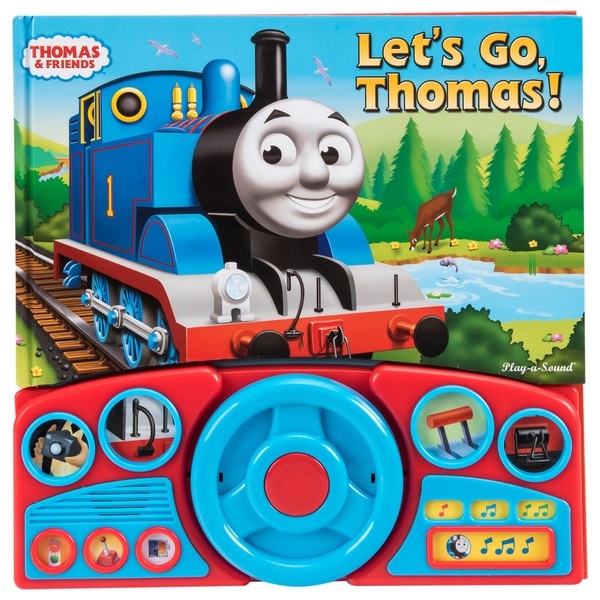 Little ones will love this Thomas Steering Wheel Lets Go Play-A-Sound Boardback Book. It has a mounted steering wheel on a telescoping base that raises and locks into place. Sound triggers, including the horn button on the wheel, make realistic vehicle sounds to accompany the story. Join Thomas and Friends on his adventure and hear familiar Thomas sounds from the hit preschool license.